A strangely charismatic little rifle. Little Badger in the hands of self-defense trainer Kathy Jackson. Little Badger looks like an illicit love child between an AR15 and a Mk3 Sten. It’s all black metal and Picatinny rails, with a ladder sight of M2 carbine and muzzle threaded for flash hiders or suppressors. It was meant for kids but charms as many adults. It’s a single shot, manually cocked break action which looks “evil” enough for the Feinsteins of the world to hate it on pure style. I shot it and it was accurate and easy to handle. It also looked and felt like something out of a cyberpunk novel. 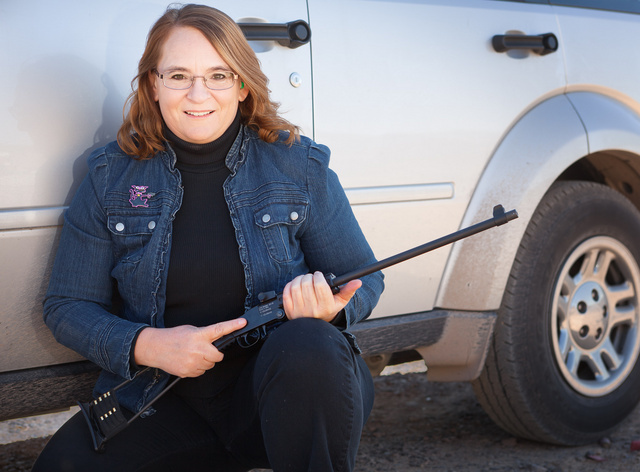 This entry was posted in book, interesting people, rifle and tagged 22LR, woman. Bookmark the permalink. 10 Responses to A strangely charismatic little rifle. Your “cyberpunk” link came up 404. Looks cool, the price point will be critical to its success though, imo. 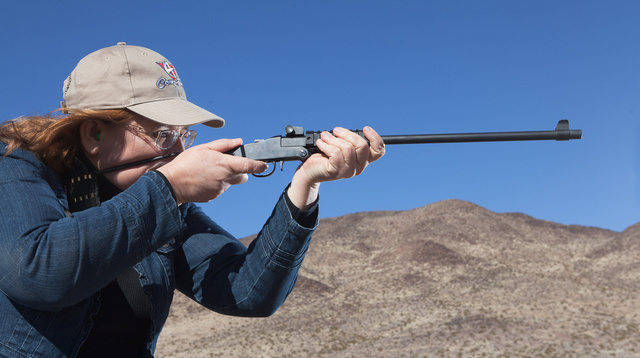 Since ruger came out with the takedown 10/22, its hard for me to justify saving 1.5 lbs or whatever to go from a semi-automatic mag-fed and proven system to a single-shot. I’m sure its a fine rifle but the nichiest of niche. Though, Chiappa has a penchant for that. Reminds me of the FIE Bronco .22 single shot. They used to sell, new, for under $20 back in the day. That “illicit lovechild” comment cost me a keyboard, a cup of coffee, and my sinus lining…. Interesting. Except for the modern rails, it looks like a couple pieces from my grandfather’s estate — turn of the last century kids’ single shot rifles. Single shot guns are too much of a hassle for me. Can’t imagine buying one, except perhaps if the choice was death vs single shot. Since it has a threaded barrel, I believe the felon senator from CA would call it an Assault Rifle. I have a takedown 22LR single shot from Rossi that can switch barrels and become a single shot .410 shotgun. Fun to shoot, cost almost nothing when I got it on a whim.